Obtain international beauty licenses and become global beauty experts! 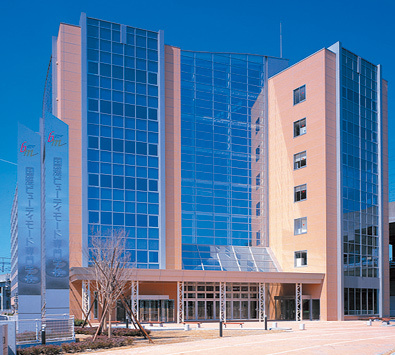 This is the only general beauty college in Niigata, where students can acquire world-class beauty, makeup, nail art, and aesthetic skills through Japan's highest quality curriculum! The college is dedicated to nurturing the sensitivity and aesthetic sense of each student. Here, students can acquire international licenses and develop into professionals who can play a leading role in the world. There are many international students enrolled at the college. Staff in charge of employment provide personal guidance tailored to each student's needs and characteristics, which includes everything up to the acquisition of an informal job offer, from how to write a resume to interview training. For details, please contact the college. Students master makeup and manicure skills and aim to obtain an international makeup license and a domestic first-class nail specialist's license to play an active role in the world. Students learn the latest aesthetic skills and obtain international licenses to become aestheticians who play an active role in the world. Students obtain not only national qualifications, but also world-level hair cutting skills to become salon-ready hairdressers.